Whether you run your own business, work as a part-time blogger or a content manager for a large company, maintaining a multilingual website can be tricky. After all, creating and publishing content in your brand’s native language is only a part of the expansion process. When it comes to content localization, websites should be designed for that purpose from the get-go. This will allow you to modify certain elements to better fit different audiences depending on what type of content and products you push to the market. With that in mind, let’s take a look at several things worth keeping in mind when creating your own multilingual website. There is no point in stretching your time and resources too thinly between different language options. Start your multilingual website by defining the target audience, what type of content you will publish and to what end. That way, you will have a clearer idea of where to take your website in the future, especially as new readers and followers start discovering your brand. Choose only one or two additional languages to start with but make your original, native language content a priority. There is little point in publishing average content into numerous languages so prioritize your writing carefully. Depending on what the purpose of your website is (blogging, eCommerce, multimedia, etc.) you should choose an appropriate design solution for it. 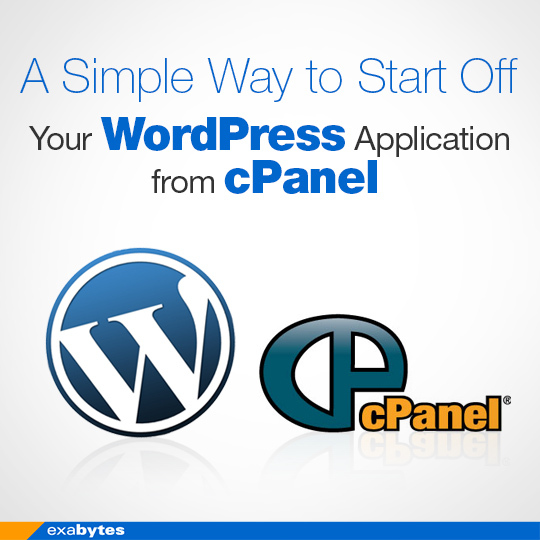 The easiest thing to do is to opt for WordPress as your CMS of choice and choose a good theme that suits your needs. That way, you will avoid coding and designing a theme on your own which could take a long time and result in questionable results in the end. Make sure to pick a theme that will highlight multilingual content well in terms of the landing page and a clear choice of different languages for visitors. You may not have social media pages dedicated to your website as of this moment, but you will expand to those platforms sooner or later. Sites such as Facebook, Twitter and LinkedIn are ripe for new audiences, especially if you offer professional blog posts or industry insights. Your social media pages should allow for a multilingual audience to communicate and grow as a community. You will need to set community guidelines, however, in terms of the official spoken language (typically English) and user-generated content. With the right curation and a good social media manager at the helm of your pages, your global audience will grow and visit your main website more and more over time. This is especially true since you will be able to share freshly published content on social media platforms which will always lead to new eyes finding their way to your website. While you don’t have to hire professional writers or expert editors for your multilingual website, you should at least consider working with native speakers. It’s quite easy to misunderstand a cultural difference and translate a sentence or sales pitch into another language in the wrong way. Some of your visitors might understand that you have created the translation yourself but not everyone will be so tolerant. With that in mind, platforms such as Pick Writers which is a translation review website can do a lot to help your cause. If you are short on funds you can ask for volunteer editors through social media or openings on your website. However, make sure not to publish DIY translation if you want to build a trustworthy and long-lasting relationship with your visitors. Not every website owner is a designer by profession and that’s okay. You can add alternative text (alt-text) to any images, videos or audio files you publish on your website, however. That way, people from around the world will be able to enjoy your content no matter the file type. Alternative text should contain direct, precise and informative writing without long sentences or multiple paragraphs. Consider the fact that many people still browse the web through text-only due to a number of technical and medical reasons. What you can do to make amends, however, is meet them halfway and offer a substitute for any multimedia piece of content you’ve included. This goes for every language present on your website, so make sure to localize the description into each one separately. It should be noted that each language featured on your website abides by different SEO rules. Search Engine Optimization (SEO) can effectively make or break your website depending on the niche you operate in. For example, bloggers and forum admins won’t have much trouble in terms of SEO optimization apart from UI and navigation translation. However, eCommerce managers and online salespeople should pay close attention to which keywords they use in each language. This can be done through specialized tools such as Google Keyword Planner and SEM Rush which are designed for the purposes of constant SEO research. They can be a powerful tool in your content optimization arsenal, especially if you are not overly familiar with the languages you feature on your website. Make sure to follow up on popular keywords and phrases in different languages when it comes to content localization and your content will rank well with search engines such as Google, Yahoo and Bing. It may be tempting to add several languages to your website as soon as the site is operational. This is the wrong path to take in terms of building a proper multilingual website, however. Once you establish a content calendar and have someone to translate and edit the website with, you should find new languages to explore. Languages such as Spanish, Italian, German, French and Chinese are all good choices when it comes to the initial roster of your website. Search for popular languages in your own industry and see if you can determine which ones would bring the most visitors to your site. It can be detrimental for your business if you stretch your resources to the point where you are unable to produce new content or maintain your community. Give your site time to grow and expand gradually instead of sporadically. There is a lot to consider when jumping into creating and maintaining your own multilingual website. However, with proper planning and resource management, you should be able to attract a sizeable audience over time. Outline your content creation and translation process carefully and you shouldn’t have issues in terms of website maintenance and community engagement.